French women are famous for their impeccable style, and if you find yourself strolling down the streets of Paris, it’s easy to see why. They have a command of easily mixing tailored basics with classic wardrobe staples that always read as endlessly chic. But what do these stylish women wear when they’re traveling away from the French cities they inhabit? I studied the travel photos many of them have posted on Instagram to find out which items they always pack in their suitcases. To no surprise, many of these pieces—like cashmere sweaters and straight-leg jeans—are ones they regularly wear in their hometowns. Others are functional travel items or destination-specific essentials that you wouldn’t spot them wearing at home. Ahead, see the 10 items French women never travel without. French women all own timeless cashmere sweaters, a staple they wear and own for years. The basic is the perfect item to throw in a suitcase for the fall and winter. Another essential? Classic white sneakers, which are the perfect comfortable shoes for exploring a new city by foot. Printed dresses are the French-approved necessity for a warm-weather holiday. Midi skirts are perfect for travel because they easily transition from day to night. French girls never leave home without a great pair of versatile dark jeans. Tropical holidays require slip dresses. A practical but stylish leather bag is a must when heading on vacation. 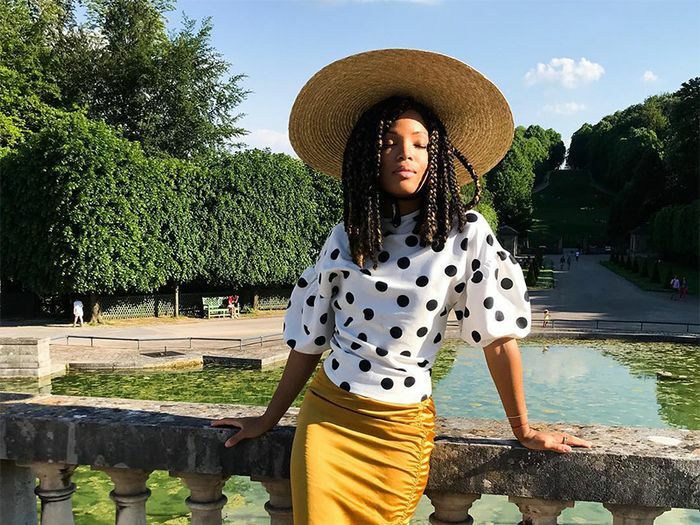 French girls love their blazers and always bring them on vacation—whether they're wearing them with jeans or throwing them over a printed dress. You won't spot many people wearing swimsuits in Paris, but when French girls travel to an oceanside destination, they always pack a one-piece. Boots are another shoe style you'll always spot French girls wearing on their travels. Next up: the one trend I'm skipping in 2019.